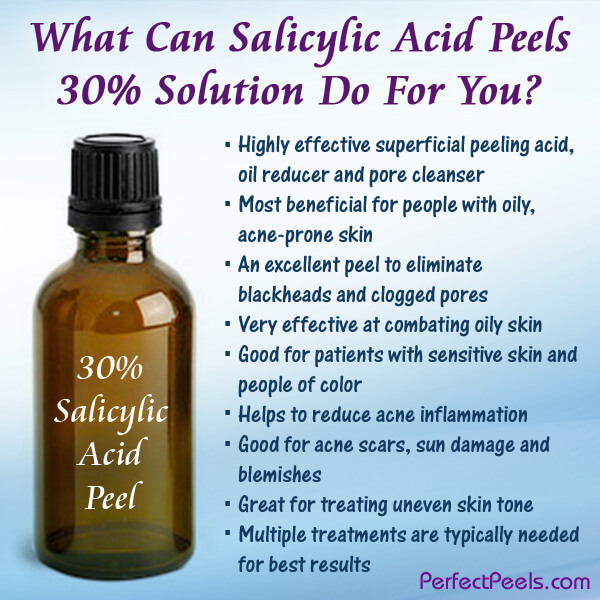 What Can Salicylic Acid Peels 30% Solution Do For You? You may be tempted to jump right into a salicylic acid peel 30% treatment thinking more is better, but if this is your first diy peel, you’ll be well advised to start off with a lower percentage to see how your skin tolerates the peel. On the other hand, if you’re an experienced diy peeler, this peel strength can really make a difference and should give you the soft smooth skin you are after. Read moreWhat Can Salicylic Acid Peels 30% Solution Do For You?